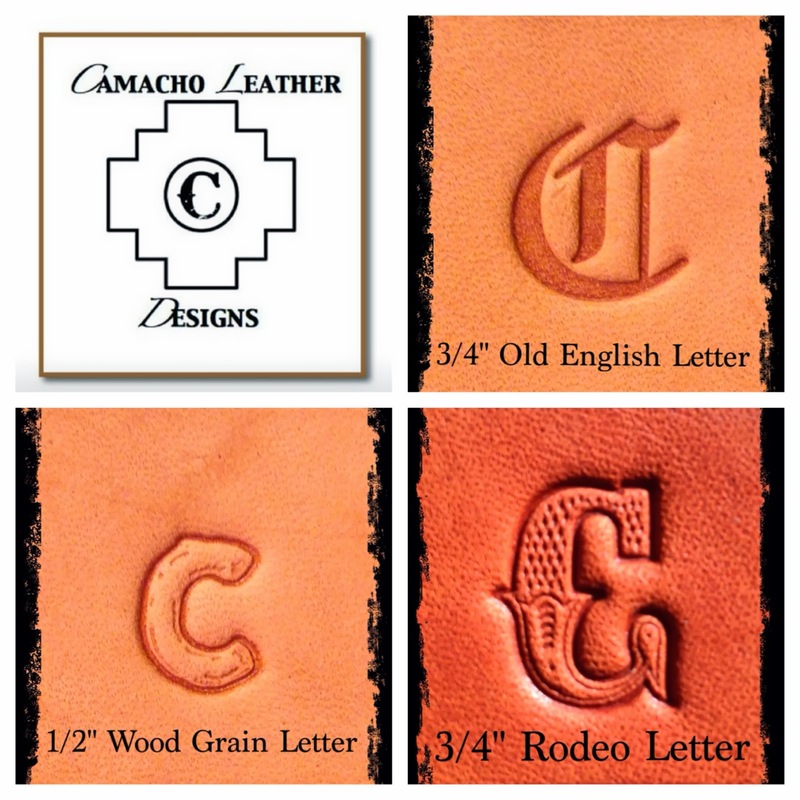 We are excited to add three new initial styles to the store! It has been a busy Holiday Season celebrating with family and building orders, I am grateful to be able to to do both. Hope everyone had a great Holiday Season! New Letter/Initial Style Added to the Family! Meet the new member to the family of Letter/Initial styles, the 3/4" Fancy Letter! 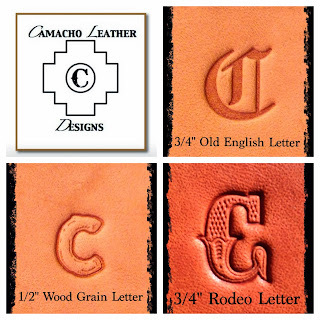 This is a rare stamp that is no longer available in leather stores. I was fortunate enough to win it on eBay. I'm working on getting one more style, maybe by the end of this weekend I'll win it! 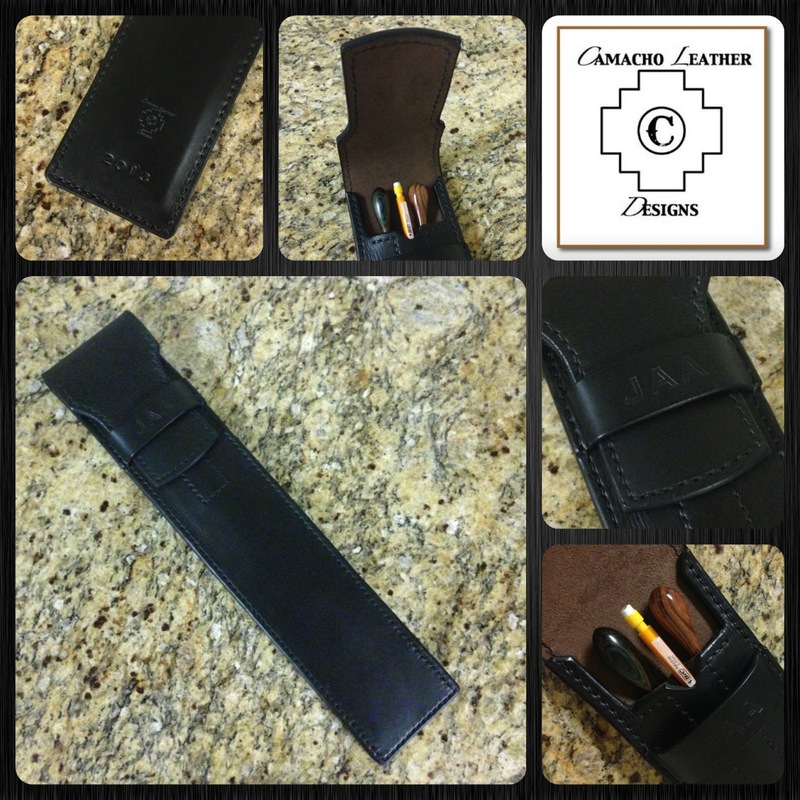 The Berlin Style baton case was designed for a client in, you guessed it, Berlin, Germany. He wanted to store his pencils inside the baton case, so this is the design I came for him. It seems in recent weeks it has started to get popular among orchestral conductors. So I have officially added it to the store! This case obviously hides your writing utensils in an internal pocket that is sewn into the case. 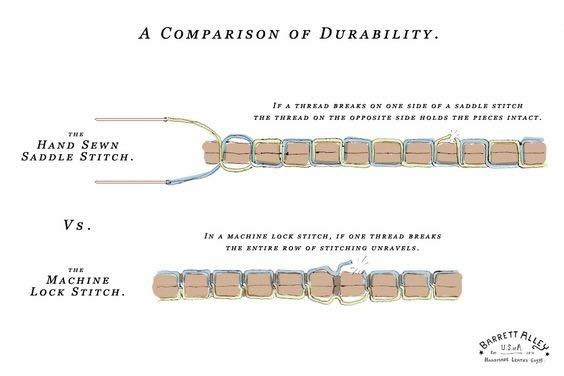 It takes a bit more time creating the stitch groove, a very careful process that if done wrong, requires me to start with a new front panel, hence the increased cost of the case. The pocket will fit two regular style pencils in it, snuggly at first, but you are assured that they will not fall into the dark caverns of the main pocket and become unretrievable. It will easily fit any single type of writing utensil. 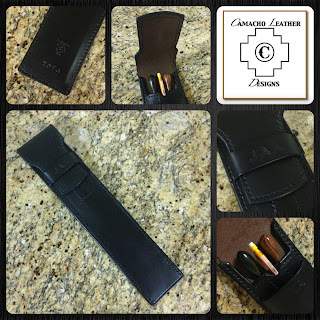 The pocket is 5" deep and leaves enough room in the main compartment to fit two batons easily. You might be able to squeeze in more batons with smaller handles. And of course if you need to fit more batons into your case, then the width of your case can be adjusted. 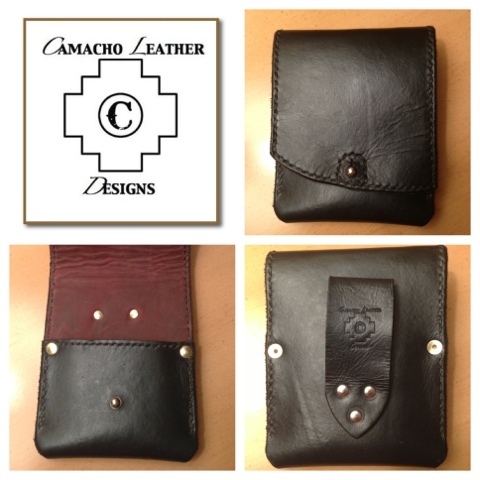 Some of the perks of working directly with the leather craftsman! 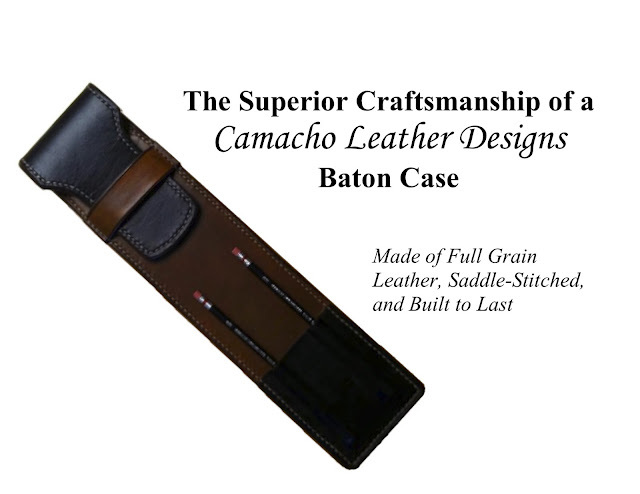 You will also feel confident packing your baton case in your travel bags as I am now including a steel rod sewn into all my cases. 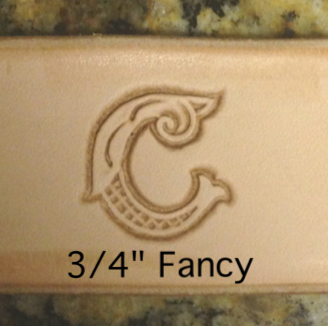 Check out the new lighter choice for your own custom made baton case, Range Tan. This is as light a dye that can be found, besides a natural veg-tan color. I would offer a natural color, except that it stains extremely easy. 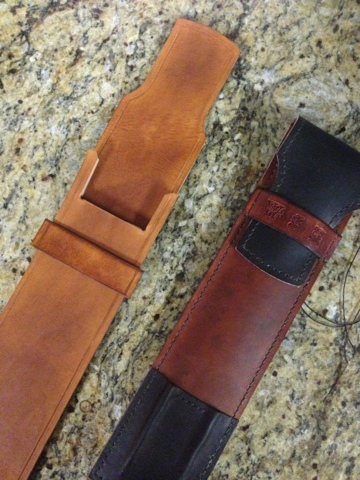 You see the new Range Tan below compared to a two tone case, made with the colors Dark Brown and Canyon Tan. I like wearing my iPhone as a holster. Needless to say, I'm working on a model/prototype that will fit my phone easily, but take up less space than my first prototype. I've worn it for a week, it has functioned well, but I want it to be smaller. Will keep you all updated. This case was a lot of fun to work on. 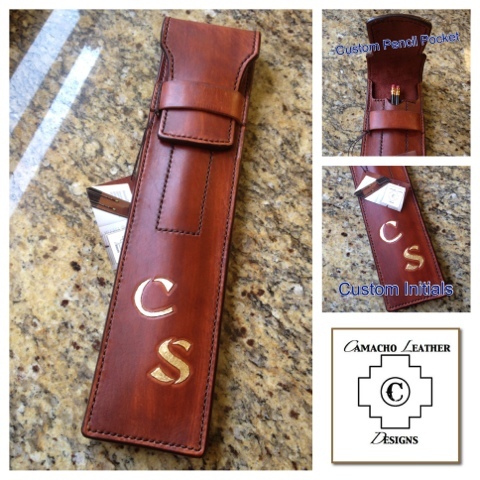 Had to come up with an internal pencil pocket, unique hand carved initials and a unique wood like finish on the leather. Several back and forth correspondence through email made this international sale a success. Happy to say my baby made it to Europe safe and sound through UPS.